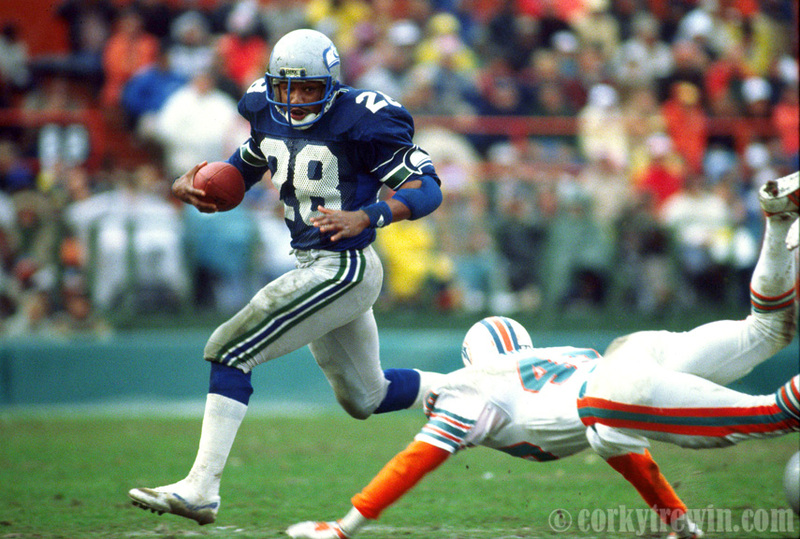 Seattle Seahawks running back Curt Warner scampered for two touchdowns during the team’s improbable 24-20 playoff victory over the Miami Dolphins, December 31, 1983. This entry was posted in NFL, Seattle Seahawks, Sports and tagged Curt Warner, Miami Dolphins. Great action shot Corky, reminds me of your “photo of the week” collections.